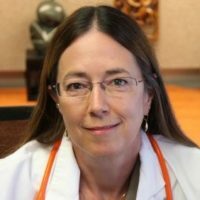 Dr. Diane Birnbaumer is a senior faculty member in the Department of Emergency Medicine at Harbor-UCLA Medical Center, Torrance, California and Professor of Clinical Medicine at the University of California-Los Angeles. She was Associate Program Director at Harbor-UCLA Medical Center for the department's emergency medicine residency from 1991-2011 where she was directly involved in the education of over 300 resident physicians. Dr. Birnbaumer is the recipient of the American College of Emergency Physicians (ACEP) Outstanding Speaker of the Year Award and its Outstanding Contribution to Education Award. In addition, Dr. Birnbaumer has received the California Chapter of ACEP's Education Award.